The panel of the Canadian Network on Humanitarian history at the Annual Meeting of the Canadian Historical Association in Regina, in May 2018, was on “Histories of Humanitarianism and (Visual) Media”. For my presentation, “‘CIDA Brings you the World! 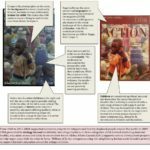 ‘Children’s Reception of Humanitarian Photographs of Children: 1980-2000”, I used the educational collection of the Canadian International Development Agency now at Carleton’s Archives and Research Collections. Listen to the podcast of the panel is HERE. The CNHH met for a day of workshop in Regina, to share ideas, projects and local knowledge. We brought back Carleton’s Visiting Fellow Valérie Gorin to Ottawa for a week at Carleton, which included a workshop of her own work, and visits to the archives. The minutes of the meeting are HERE. I was invited to chair the wonderful round table “So, What Will That Get You? 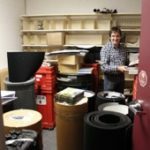 Becoming a Historian in a Changing Job and Academic Market | Qu’est-ce que ça donne ? Devenir historien ou historienne dans un marché d’emploi en mutation pour les universitaires”, Annual Meeting of the Canadian Historical Association, University of Regina, 27 May 2018. More work will follow to update the publication. “Conclusion”, in Greg Donaghy and David Webster, dir. 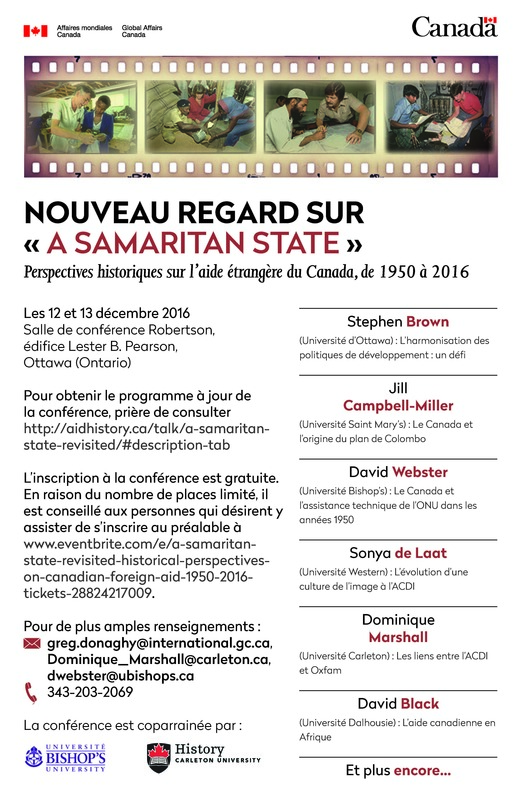 “A Samaritan State” Revisited: Historical Perspectives on Canadian Foreign Aid, 1950–2016, University of Calgary Press, 2018. “Ten keys to make sense of traditions in the non-profit sector in Canada” Historical Context For Intersections and Innovations: Change for Canada’s Voluntary Nonprofit Sector, edited by Susan Phillips and Bob Wyatt, in preparation. Revue du Musée Canadien de l’histoire, Salle d’histoire canadienne, Canadian Historical Review. 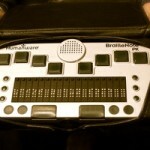 Blogs on simultaneous translation and Canadian NGOs; NGOs and Canada’s centenary; etc. research assistantships of undergraduate students LuiXia Lee, on the history of Canadian nurses in China, together with Sonya Grypma; and Nicholas Leckey and Shannon Pendregast on the history of disability and technology, in collaboration with Beth Robertson. The collaborative project on “Civil society and the global refugee regime: Understanding and enhancing impact through the implementation of global refugee policy” was successful (SSHRC Partnership Development Grant, 2018-2023) As the historian co-applicant, I will devise training, archiving and public history tools. I now work with an inter-university team on “Power and humanity: contexted notions of human rights and humanitarianism in North America”. We met in Berlin at the JFK Institute in February. 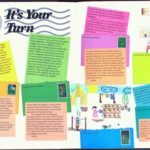 2018 will bring virtual co-teaching, one workshop, etc. 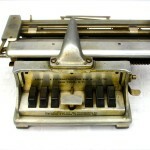 The CUDRG is in full operation, with new virtual exhibitions in preparations on its transnational front on the Mennonite Central Committee, participation at Spring events such as Life Science Day and the Canadian Association of the Refugees and Forces Migrations Studies, and new panels on the history of technology and deaf and blind people; and additions to the wheelchair history of Canada. 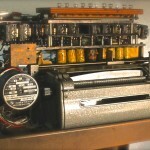 “Préface”, Artefact. 16ème colloque international étudiant du Département d’histoire de l’UniversitéLaval s’est tenu du 17 au 19 février 2016 à l’Université Laval, 2017, Québec, pp. 15-19. Book review of “Lisa Pasolli Working Mothers and the Child Care Dilemma: A History of British Columbia’s Social Policy Vancouver: UBC Press, 2015. xii, 240 pp.”, Historical Studies in Education, 29, 2 (Fall 2017), pp. 153-155. Seventh bulletin of the CNHH, March 2018. -Avec Martin Laberge, “Guerre mondiale: L’éthique et l’exercice du leadership du général de Gaulle (Première d’une série de conférences sur le leadership et la seconde guerre mondiale)”, Ottawa, 14 November 2017. 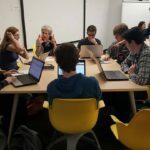 L’objectif de ces rencontres est de permettre aux participants de tirer des enseignements d’exemplarité, incluant le talent, l’honneur, le courage et l’altruisme, applicables à l’exercice du leadership contemporain, dans un contexte d’incertitude et d’enjeux complexes aux lourdes conséquendes humaines, éthiques et stratégiques. À cet égard, le parcours du général Charles de Gaulle, entre 1939 et 1945, révèle une série de décisions extraordinaires et peu connues. 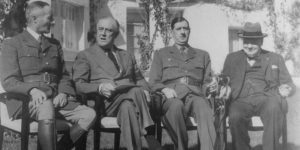 À partir de témoignages, de documents historiques et d’archives récemment découvertes, les conférenciers examinent les choix difficiles et la relation du général de Gaulle avec ses puissants adversaires au sein de l’alliance contre l’occupation. Plusieurs décisions reconnues bien-fondées après la Guerre ont présenté, en leur temps, des défis immenses pour ce leader qui fut sous-estimé, voire souvent isolé même par ses alliés incontournables. We are delighted to invite you to the launch of an exhibition of murals by Jose Venturelli Eade. We look forward to welcoming you to an enjoyable and informative evening of discussion and reflection about the relations between Chile and Canada, and the role of art in Latin American social movements. Jose Venturelli Eade (1924-1988) was a painter, engraver, stage designer and Italian-Chilean muralist. His work includes the mural América, I do not invoke your name in vain, which is housed in the library of the Central House of the University of Chile (1950) and the mural Chile for the United Nations Conference on Trade and Development III in 1972. 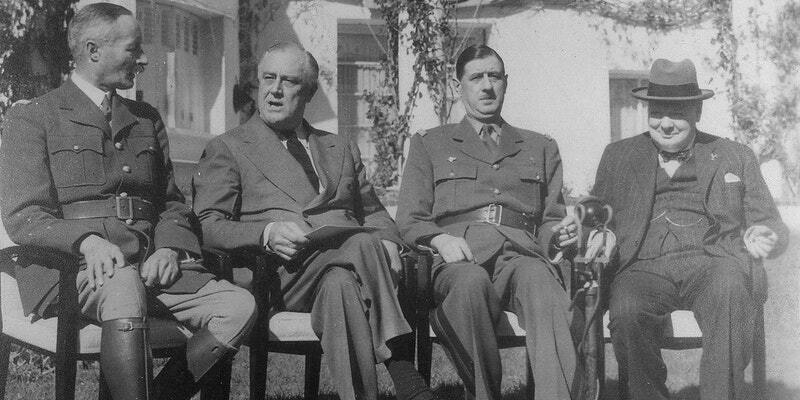 After the military coup in Chile in 1973, Eade went into exile in Switzerland. He died in China in 1988, where he had served as Latin American ambassador and general secretary of the Movement for Peace for the countries of Asia, Africa and the Pacific. One of the first Chilean refugees to arrive in Ottawa, Leonore Leon, has acquired the rights to print and display reproductions of the murals and of the stained-glass windows he made for the oldest church in Geneva during his stay there, as well as a few murals from his teacher. 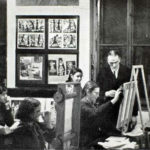 Carleton will be the first venue because of how welcoming the University was to Chilean refugees at the time, and also because of the mural painted by Chilean students of Carleton in the early 1970s, which is a permanent fixture in the foyer of the Department of History. Please join us from Friday, December 8th – Sunday, December 10th for a symposium and workshop entitled “Disability | Technology | Inclusion”. This symposium seeks to draw researchers and teachers from across the university and beyond to discuss and workshop the ongoing work of Carleton University’s Disability Research Group (CUDRG). One of our primary goals will be to begin to draft a set of best practices for the design and pedagogical uses of accessible virtual and physical exhibitions pertaining to the history of disability and technology. The symposium will begin with a broad overview of the CUDRG’s origins and its various projects to date, followed by a set of sessions in which we will discuss how to further the accessibility goals of the CUDRG, the best uses of virtual and physical exhibits within the classroom, as well as constructive ways in which we might grow and enhance these types of initiatives through multidisciplinary and cross-faculty research and pedagogical collaborations. The final day of the symposium will be dedicated to piloting and work shopping the latest exhibit episode developed by the CUDRG on disability, refugees and technology. 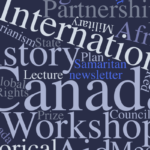 Our Canadian Network of Humanitarian History will meet for the first time as an affiliated committee of the Canadian Historical Association on May 29 2017 at Ryerson University. Those interested can read our latest Bulletin. This summer we are working at a virtual exhibit on humanitarian pictures of refugees. The call for stories is open until the end of June 2017. The Carleton University Disability Research Group is bringing our brand new traveling exhibit on Educational Technologies for People Blind or Partially Sighted in Canada since 1860 to the Annual Meeting of the Canadian Disability Studies Association at Ryerson University, in Room SHE 560, room May 29 to June 2. The virtual version of “Envisioning Technologies” will expand this summer, with panels on refugees, and on technologies for people who are deaf-blind. 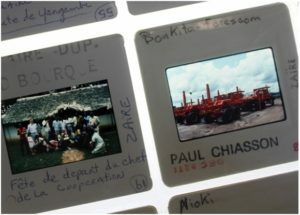 Dimanche le 28 mai je rencontrerai mes collègues directeurs des 50 départements d’histoire du pays pour parler du merveilleux site web “Que faire avec un diplôme en histoire?” et des futurs possibles des études avancées. On Monday May 29, I will be chairing a panel at the Annual Meeting of the Canadian Historical Association entitled “« A passion for history »: A National Survey of the Education Experience of Undergraduate students” where I will also speak of the extraordinary group of second year majors in History to whom I taught his Winter. And all through Congress, I will assist the Canadian Federation of Social Sciences and Humanities in my role as Board member for Associations for the last time in four years. It has been an honour to serve in such good company. I will spend a few hours at their kiosk at the fair and meet associations presidents and directors for breakfast. 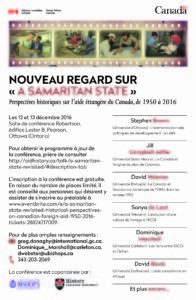 I am delighted to have joined Greg Donaghy (Global Affairs Canada) and David Webster (Bishops) in the organization of the Conference “A Samaritan State” Revisited-Historical Perspectives on Canadian Foreign Aid, 1950-2016“, Ottawa, Canada, 12-13 Dec. 2016. In preparation for the conference, Sonya DeLaat and I have written a blog on the wonderful photo library of CIDA. The Canadian Network on humanitarian History is also preparing a workshop on the archives of CIDA on the morning of December 12. Archivists from Library and Archives Canada, Document management people from CIDA, and historians used to working with the Fonds will share tips and knowledge. Picture taken by Keith Spicer during his travel in South East Asia, 1960. Personal collection. 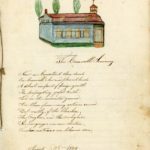 The CNHH new Research Assistant and I have been busy working with Keith Spicer and his son Dag to put together a small virtual exhibit about the travel which lead to his book and the formation of Canadian University Students Overseas (CUSO). News from the Membership, Past and Future Events, Research Project and Funding. David Meren, Professor Adjoint, Université de Montréal – Drawing on cultural history, social history, and postcolonial studies, Dr. Meren explores the evolution of Canada and Quebec’s places in the world and how their international activities shaped and were shaped by the experiences of people living in the northern half of North America. In 2012, he published With Friends Like These: Entangled Nationalisms and the Canada-Québec-France Triangle, 1944-1970 (UBC Press), leading to the exploration of the concept of “nationhood” in an increasingly globalized world. He is currently co-editing a volume on Canadian international history from the perspective of race. Deanne van Tol, Assistant Professor, Redeemer University – Interests: History of Humanitarianism, welfare, gender and empire in 20th century sub-Saharan Africa. You may see the whole list here: http://aidhistory.ca/members/ Please continue to show the website to colleagues, partner organizations, archivists and students. Let us know when the information about your work posted on the members list needs to be updated. Sarah Glassford collaborated to the wonderful virtual exhibition “120 Years of the Canadian Red Cross” which was launched a few weeks ago. She is on her way to Adelaide for the conference on the “Histories of the Red Cross Movement: Continuity and Change” on September 9-11, for which she will act as the ambassador of the CNHH and write a blog on her return. The third workshop of the network took place in Calgary, in the wake of Congress. 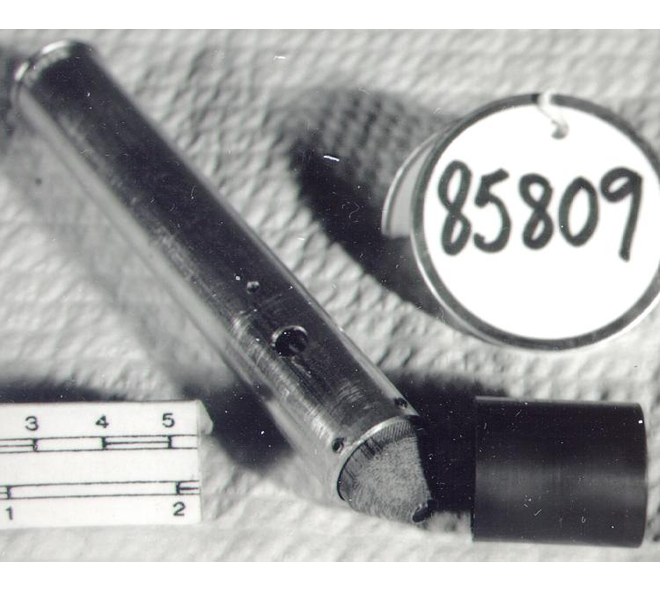 You may read the account here, written by our Research Assistant for the occasion, Sandy Barron. The recording of the panel on ““Aid, Advocacy, Development and Faith in the Digital Age” held by the CNHH at the Canadian Historical Association Meeting in June is now posted.The CNHH is collaborating with the Greg Donaghy, head of History Directorate of Global Affairs Canada, and David Webster, member of the CNHH at Bishop University, towards a Conference entitled ““A Samaritan State” Revisited: Historical Perspectives on Canadian Foreign Aid, 1950-2016” on December 12 and 13 2016, held in Ottawa on the Department’s premises. The program and registration information will be up soon on the CNHH website. For more information in the meantime, please contact Dominique Marshall (Dominique_marshall@carleton.ca). There will be a workshop ahead of the meeting on the archives of CIDA, and the CNHH is preparing a colleagues’ guide to their use, under the responsibility of Kevin Bruschett. Ahead of the meeting, the CNHH will also interview Keith Spicer, on the making of his book “A Samaritan State” half a century ago. We plan at least one seminar in the months to come by fellow doctoral student Andrée-Anne Plourde, PhD candidate at Laval University, who researches the history of the youth Red Cross, during the years 1914-1945, in a comparative perspective (North America, South America and Europe), and has spent the summer in the archives of the Federation of Red Cross societies in Geneva. The specific information will be posted later. All can join, in person or virtually. Let us know ahead of time if you plan to come to Ottawa, so that we can welcome you for a talk about your work. We also plan a call for papers early in 2017 for a special issue of the Journal of Canadian Studies for 2019, devoted to the history of humanitarian aid in Canada.  Please check the website for the many call for papers, events announcement, and send news our way, either by using the “Contact us” form on the website or by writing to Dominique Marshall. See for instance the CFP for the 100 years of the Mennonites Central Committee in 2020 in Winnipeg. A dedicated team of half a dozen members and colleagues will start a new application for a SSHRC Partnership Development Fund, for a project of collaborative research and teaching. Let us know if you would be interested to join the team. Our internal deadline is mid-October. The CNHH is applying for a MITACS Accelerate fellowship together with the Latin America Working Group, the Match International Women’s Fund, CUSO International and Partnership Africa Canada, which will allow us to hire a graduate student for one term of full time work towards the histories of these four organizations. The Migration and Diaspora Studies (Carleton University) funded project of a virtual exhibition on pictures of refugees in humanitarian aid will be on its way in the Fall. We will be hiring a research assistant and collect pictures from all partners. We will try again to work with Carleton University funding for honours students, and with the Department of History’s third year “Practicum”, this time with Médecins du monde, in order to help with the organization of their archives and the preparation for their 20th anniversary. The experience of such work with Partnership Africa Canada last Spring has been encouraging. Their Communications Officer, Zuzia Danielsky, has contributed a blog to the CNHH which you can read here. The website posts opportunities for funding, positions, and scholarships regularly. See, for instance, the open calls for scholarships/bursaries to visit the archives of Oxfam at the Bodleian Library regularly , and those of the American Jewish Joint Distribution Committee (JDC) Archives in New York of in Jerusalem. Please send news about publications, yours or other of interest, to be posted on the website’s “collective bibliography” or “recent publications”. Course materials will be posted in the “teaching” section. And news about archives in the section entitled “Questions of humanitarian archives”.Thanks to Carleton PhD candidate Sean Eedy, who will continue to be the webmaster for the Fall. “Discours présidentiel: Dessins d’enfants et aide humanitaire : expressions et expositions transnationales/ Presidential Address: Children’s Drawings and Humanitarian Aid: Transnational Expressions and Exhibits”, Revue de la Société historique du Canada/Journal of the Canadian Historical Association, 2016, pp. 1-65. Pour l’article en ligne, cliquez ICI. Unicef, Missing Childhood. 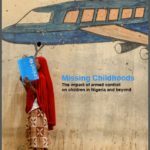 The impact of armed conflicts on childhood in Nigeria and beyond, New York, April 2015. 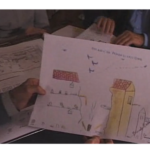 RÉSUMÉ Cet article propose un tour d’horizon des usages des dessins d’enfants dans l’histoire de l’aide humanitaire à l’aide d’exemples, du Canada et d’ailleurs, tirés des recherches de l’auteure. Il se penche à la fois sur les usages des dessins par diverses organisations au cours des dernières décennies et sur les emplois que les historiens en ont faits. À l’aide d’outils empruntés à plusieurs disciplines, il propose des clefs de compréhension qui permettent de réfléchir à l’histoire de la psychologie enfantine, de la pédagogie, de l’art enfantin, des relations humanitaires entre générations, des droits des enfants et des perceptions juvéniles lors d’interventions humanitaires. Il dresse un historique du médium, de ses promoteurs ainsi que de ses détracteurs et propose un ensemble de pistes pour identifier, malgré les obstacles, des traces d’expressions enfantines. My colleagues and I of the Disability Studies Research Group posted a preview our upcoming exhibition on Active History last week. We then welcomed two dozen people at Carleton @1125 to discuss ways to make it better. Here is the account of the workshop. 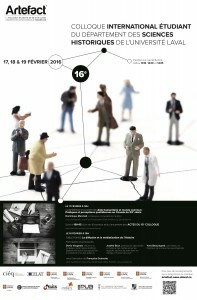 À l’occasion du colloque des étudiants diplômés en histoire de l’Université Laval, ARTEFACT, où j’ai donné la conférence d’ouverture, le programme “3600 secondes d’histoire” a consacré une heure à l’histoire de la notion des droits des enfants. Un grand merci à l’animatrice Myriam Cyr et à la co-animatrice Hadjer Remili. Le blog de l’émission est ICI. Ma présentation s’intitulait « Aide humanitaire et monde commun : Pratiques et perceptions quotidiennes au Canada du XXe siècle ». Résumé: Au début des années 1960, la maison mère d’OXFAM envoya Lynn Ten Kate, l’une des fondatrices des fameux magasins d’articles usagers, enquêter à travers le Canada sur l’état des énergies humanitaires, en vue d’inaugurer le premier chapitre de l’ONG en dehors du Royaume-Uni. Les notes de son voyage de neuf mois, envoyées chaque mois à Oxford, dressent un portrait bariolé des attitudes de multiples communautés canadiennes vis-à-vis des pays de l’hémisphère sud. 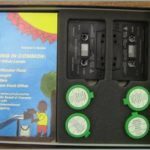 Entre parades de Noël, émissions de radio communautaires, spectacles rock et mobilisations universitaires, elle décrit avec optimisme et candeur des pratiques humanitaires quotidiennes au moment où l’avenir des organisations gouvernementales était incertain. En plus de passages de ses rapports, cette présentation inclut des extraits d’une entrevue avec Ten Kate en 2010, de même que des traces de son périple retrouvées dans les archives et les journaux. L’histoire de Ten Kate donne l’occasion de réfléchir sur les transformations profondes des aspects transnationaux de la culture politique canadienne. Please join us on Thursday March 3, 2016 for a symposium and workshop dedicated to virtually representing the evolution of technical aids for persons who are blind or partially sighted in Canada. Bringing together scholars, educators and members of the community, our aim is to highlight critical disability studies, the history of technology and disability, education and accessibility and inclusive design. Our symposium will emphasize both the brilliant inventors and makers of technology and also focus on the users of these technologies, showcasing how people and technology move forward together in design, development, education and accessibility. If you would like to join us from afar, please say so and we can make arrangements for a videoconference. Or, if you are only able to join us for one part of the day, please inform us in your registration message. 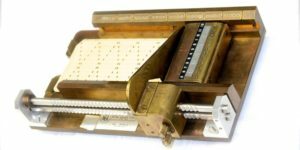 This presentation explores the history of blind people’s literacy by engaging the experiences of the first generation of blind readers, people whose newly acquired ability to read attracted widespread interest in the first decades of the nineteenth century. I hope to show that the history of public displays of blind people reading can offer guidance for people involved in the design of exhibits about blindness, both those that feature glass cases and those that employ virtual spaces. 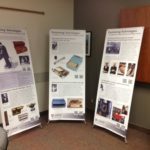 I’ll conclude by sharing my experience of curating Books Without Ink: Reading, Writing and Blindness 1830-1930, an accessible exhibit of artifacts currently open in Winnipeg. Dr. Vanessa Warne is an Associate Professor of English at the University of Manitoba, where she holds a cross appointment in the Interdisciplinary Disability Studies MA Program. She is the co-curator with Sabrina Mark of the exhibit Books Without Ink: Reading, Writing and Blindness 1830-1930; she convened, with Dr. Hannah Thompson, ‘Blind Creations,’ an international conference and art event which brought together academics, artists and accessibility experts to examine relationships between visual disability, accessibility and public culture. She is the author of articles, book chapters and entries on the cultural construction of blindness and will guest edit, with Hannah Thompson, a forthcoming issue of Disability Studies Quarterly on visual disability and the arts. Her current project, supported by SSHRC, is a monograph exploring the nineteenth-century history of blindness, literature and literacy. Research assistant with the Disabilities Research Group at Carleton University and sessional lecturer with the Institute of Interdisciplinary Studies at Carleton University, Dr. Robertson will present an online exhibit, revolving around a series of artifacts and technologies that will be used to present the history of persons who are blind or partially sighted in Canada, exploring the ways they have negotiated, contested and reshaped public discussions around education and accessibility. Ideally we hope to break-out into small groups to discuss what has been presented throughout the day. Our team of researchers with the Disabilities Research Group seeks and encourages feedback from all participants in order to facilitate the most accessible online exhibit which facilitates education and emphasizes what is vital to the community. It is my pleasure to announce the launch of the network’s website. 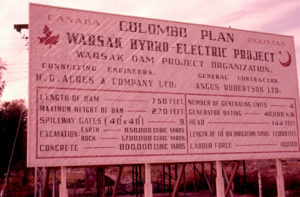 Please have a look at http://aidhistory.ca/ , and use the form “contact us” to send suggestions, events, blogs and images. The site was the product of the reflection conducted in Ottawa last May during the second workshop of the network. Three research assistants mentioned here then helped to put it together. We hope that it is useful to you, your colleagues and students. 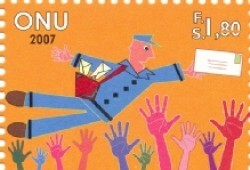 We have a rich list of blogs lined up for the coming six months, with places left if you are planning on sending one. The latest was written by our current RA, Sean Eedy, on the time when Germans were refugees and not hosts. Read it here. The network’s third workshop will take place in Calgary after Congress, on Thursday June 2, from 8:30-5:00. It will be free, but please register here. We yet have to tell you in exactly which room of the University, but we have it booked together with catering, and a special event on the Wednesday evening before, when the Network was invited to introduce the conference of Romeo Dallaire, organized by our hosts in Calgary (more to come). 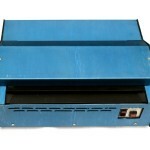 It will be an occasion to plan future research and events, and to take store of existing projects. The 2016 Canadian Historical Association Congress will be held May 29-June 1. Members of the Network will be presenting paper at the “Aid, Advocacy, Development, and Faith in the Pre-Digital Age” panel (scheduling to be determined). In the wake of last year’s Congress in Ottawa, historians, NGO workers and archivists volunteered to put together a SSHRC Partnership Development Grant to foster historical work with NGOs. The news of the competition will come in March. Whichever way this decision comes down, research is happening. At the moment, from the Network itself, Carleton honours students Eleanor Barney, is working as an undergraduate RA to provide the Partnership Africa Canada Communications Director, Zuzia Danielski, a report of the PAC’s history for use as part of their 30th anniversary plans. The work of archival description of the 160 Match International boxes for Carleton Archives and Research Collections continues. This will help prepare for the activities of their upcoming anniversary. The network also helped to preserve archives and memories when the Canadian Hunger Foundation closed last fall. See the post on this here. Since our last meeting the CNHH is richer of more than a dozen new members. You can see the growing list here. If you don’t see your name, please send me a message through our website’s contact form, or by replying to this message. Copyright © 2016 Canadian Network on Humanitarian History, All rights reserved.